There Are No Heroes is a South African Short film, that certainly looks to be quite the interesting prospect. 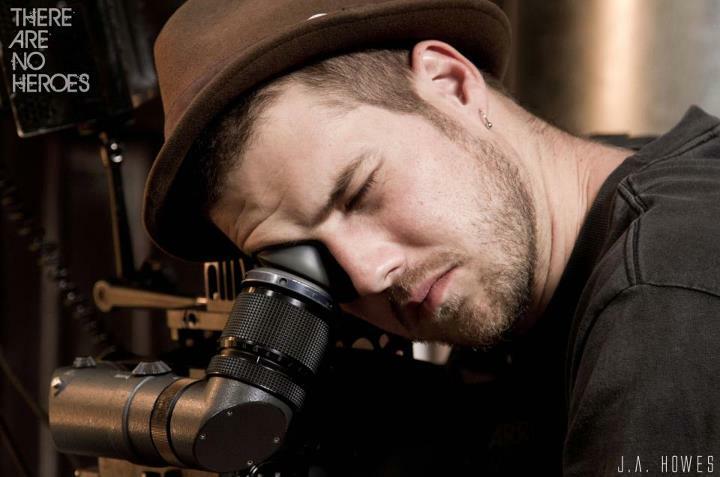 Kyle Stevenson, who produced the film alongside Maggie Jane Leitch and Brigitte Stanford, and who also wrote the film alongside Donald Leitch, is the man sitting in the directors chair that brings it all together. TANH is a film described as follows: Several years after a nuclear power plant in Cape Town had a meltdown; a young single-mother and factory worker must fight to survive in this dystopian future ruled by a sinister pharmaceutical company called DARCORP. It’s clear to see that this film’s premise is quite intriguing, and has all the potential of being a hit. 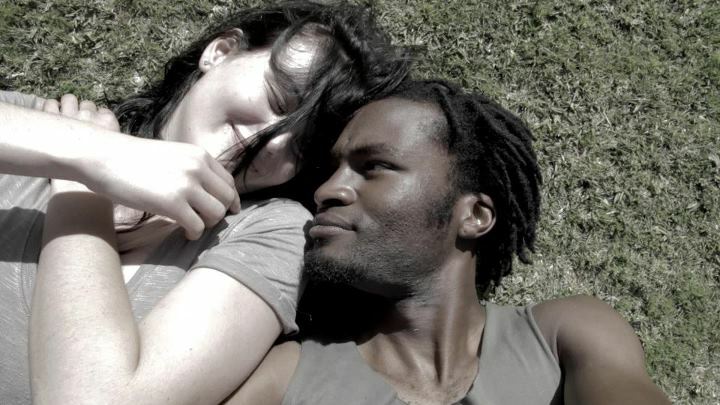 What started off, as a student film could become a major hit at the Durban International film festival as well as the Cape Town festival CELLUDROID. Kyle Stevenson along with his writing partner, and editor, Donald Leitch set of on this journey to bring this sci-fi film to life. Interestingly enough this film was born out of a short story developed by Charlie Human called Land of the Blind, which is based within the Moxyland universe (A Future where Cape town is ruled by corporations) created by Laruen Beukes’. “When we started talking about what local stories we’d like to adapt, we looked at Moxyland”, Stevenson said when we asked about the how this story came about. “But the short format would not do the book justice. So we did some research into other South Africa sci-fi short stories,” Stevenson continued. 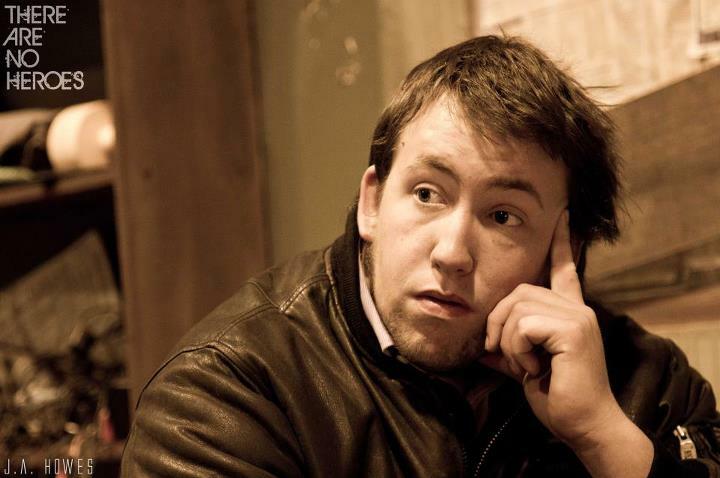 Leitch and Stevenson both sci-fi enthusiasts, now with the blessing of Charlie Human, would then begin their journey to produce a very ambitious South African sci-fi film, to their best of their abilities. The film had its ups and downs as Principal Photography was scheduled to take 10 days in July 2011, however due to financial restraints, they had to shot for a further 14 days in pick-ups throughout the year. Having the backing of Media Management and the willingness/determination of this cast and crew really does pay off in the end. Visually the film looks stunning, and for a South African Short-film, that is a feat in itself. However the story does not suffer under its own weight and it will be interesting to see how this short-story could be expanded upon for a feature length film. 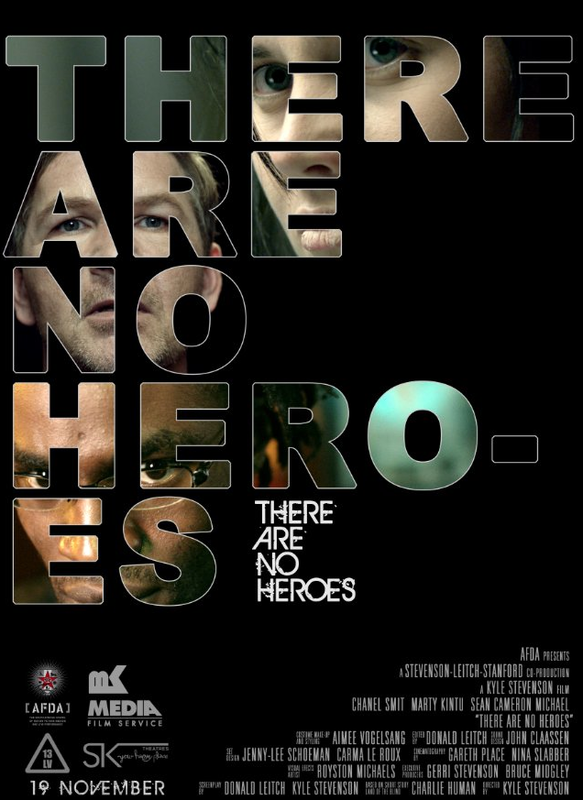 So it goes without saying that if you find yourself at the Durban International Film Festival or CELLUDROID Cape Town Festival, make sure you check out There Are No Heroes. Just a little advice you would want to remember the names Kyle Stevenson and Donald Leitch, as these guys might just prove to be catalyst needed in the SA’s film industry to shake things up and offer us SA films that can compete with the best films around the world. The cast includes: Chanel Smit playing the part of Drew, Marty Kintu as Matt and Sean Cameron Michael as a DARCORP agent. The film was directed by Kyle Stevenson, produced by MaggieJane Leitch, Kyle Stevenson and Brigitte Stanford, and written by Donald Leitch and Kyle Stevenson. Cinematography was done by Gareth Place and Nina Slabber, Costume, Make-Up & Styling was by Aimee Vogelsang, Sound Recording, Mixer & Designer was done by John Claassen and the Visual Effects Artist was Royston Michaels.